So What If It’s A Chain? When you want a bunch of food that’s consistently good, The Cheesecake Factory is a pretty good option. 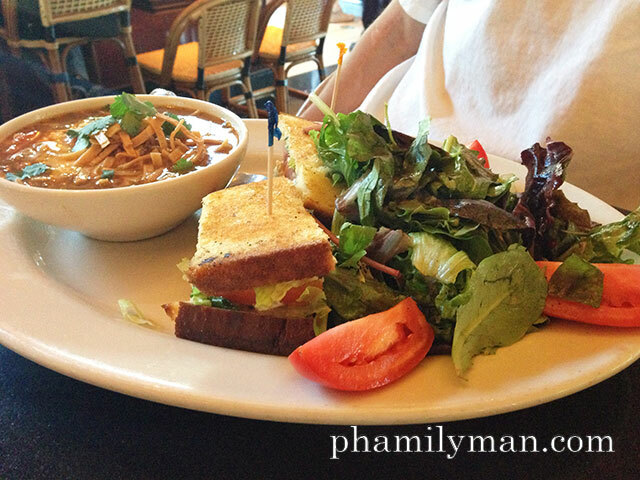 There are plenty of non-chain restaurants to eat at in Orange County, but I’m not that snobbish about my food. I enjoy eating at a chain restaurant here and there. I believe the fried zucchini came from the small bites menu. 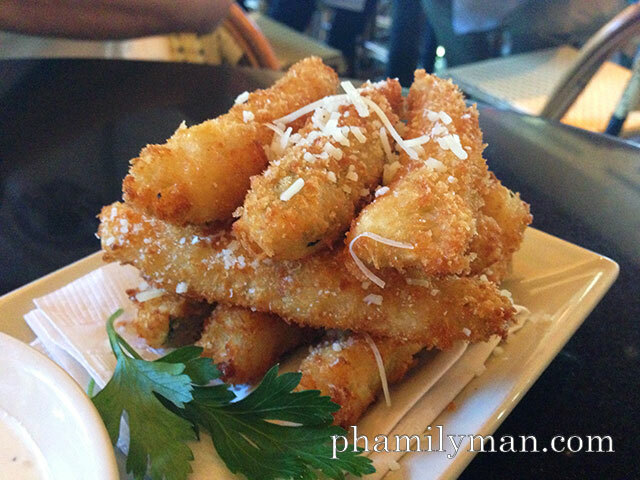 You get nine sticks of zucchini is a tasty batter, topped with some cheese, and served with ranch dipping sauce. It’s good! I made a mistake ordering the veggie burger. I can’t complain because the waiter did warn me. You see, most veggie burgers are based on black beans. This one is based on beets. I like beets, but the concentration of beets in this burger made me a little sick. It’s just overwhelming and it simply doesn’t make a good veggie burger. 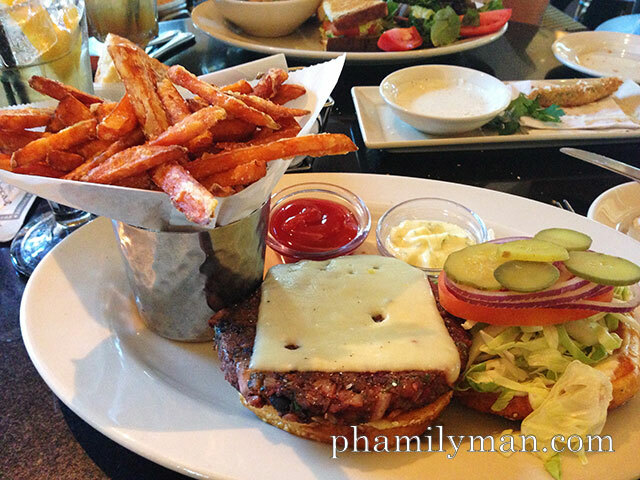 Stick with the turkey burger if you’re trying to avoid beef. Renee’s Special. Half soup, half salad. An all around good option for lunch.